Please contact the webmaster for additions or removal requests, or expanded captions. Photos credits: Photographer listed with photo, Aerosol, Radiation, and Cloud Processes affecting Arctic Climate (ARCPAC) 2008. Julie Cozic, NOAA ESRL CSD and CU CIRES (NASA P3-B Intercomparison). Eric James, NASA ARC (NOAA WP-3D in flight during intercomparison with NASA DC8). 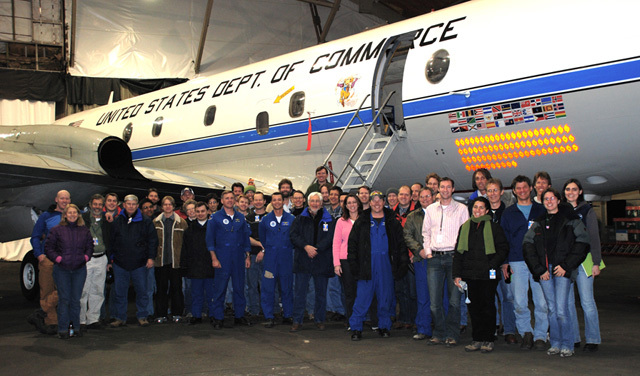 Dan Lack, NOAA ESRL CSD and CU CIRES (NASA DC8 in flight during intercomparison). Chuck Rasco, NOAA AOC (Arctic haze layer with NASA DC8 in flight). 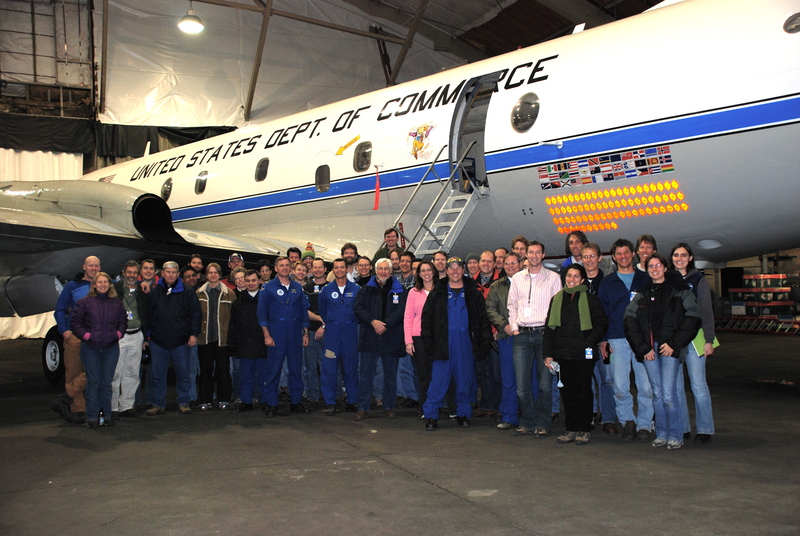 Armin Wisthaler, University of Innsbruck (Arctic haze during NASA DC8 Intercomparison).